Many years ago while bike touring in Canada, I came across the Macho Man. I had come across bears and moose and a hungry ex-wife and rabid squirrels in previous tours, but this was my first close encounter with a pro wrestler. And I wasn’t packing Mace. I was perched on a hill in Calgary looking down on the parking lot of the Holiday Inn (bike touring allows you to do a lot of things you would never do on a “normal” vacation.) A massive limousine pulled into the parking lot. Out popped Randy “Macho Man” Savage, complete with hat and ever-present sunglasses. He was accompanied by Miss Elizabeth and the Boss Man. It was one of those weird “did I see that” things that are pretty common when biking 70 miles a day. 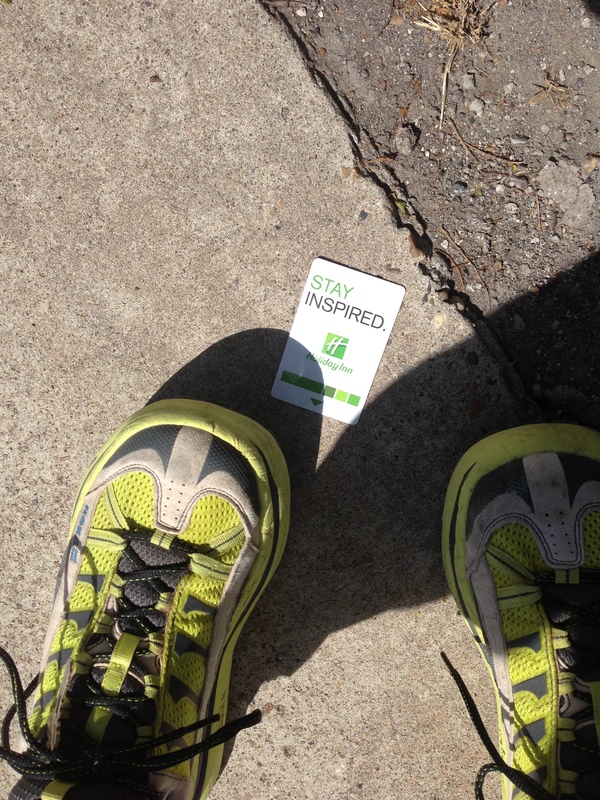 So it was with a sense of Déjà vu that I ran through the Holiday Inn parking lot on my daily run today. As I rounded the corner I found myself 10 feet from what could only have been two pro wrestlers. I don’t keep up with the peeps these days, but the show is in town tonight and these guys were pretty classic bad guys. Guy was a big square scowling bald massively muscular I will kill you and eat your funny looking running shoes you sissy boy kind of guy. He was accompanied by a woman who had basically the same physique, with the addition of a shaved head except for bright pink dreads. I pondered for a second. Should I ask if I could take their photo? If indeed they were wrestlers (and I didn’t know at the time that the show was in town), then they’d shrug and pose, being used to such a thing. If they weren’t, they would think I was just compelled to take photos of weirdos and would kill me in the parking lot, despite what I assume is a Holiday Inn ban on such things. So I didn’t. I have read too many stories of photographers who have died in the line of duty, and I was having a pretty good run so I didn’t want to die in the middle of it. Other than that, the run was good. Quads are feeling a little bummed, but I’m hoping they’ll come around. Third day in Hokey Pokeys with no ITB issues, so I’m crossing fingers they’re OK and the 1210s were to blame for earlier woes. Felt tired, but time was fastest of the week. Go figure. Miles in the bank. What kicks are those? The Hoka One One Bernadette Trumpet Peters?? No, they’re just the same ol’ New Balance 110s. Running Warehouse sells a Hoka shoe cover for $20 so you can look like the cool kids without the expense. I am sworn to secrecy on whether she was actually playing..